As much as I love candles and the ambience they bring, they aren't always practical. I have three Persian cats, which as well as being big fluff balls, they are pretty nosy little critters, so I do get a bit paranoid about them burning themselves on a candle. Also, I don't always have the time to burn a candle for an hour to ensure it burns equally, I just want a quick sniff of some Diptyque goodness. The other week when having a little (weekly) browse in Space NK and wondering what to spend my N:Dulge points on, I stumbled across the Diptyque Baies Room Spray (£36.00). It smells exactly like the candle, actually maybe a bit stronger and I absolutely love this scent. It's fruity-floral mix that I can't get enough of. ﻿I've been spritzing this all around the flat and the scent lasts a long time, which surprised me but for £36 that's exactly what you want. The bottle holds 150ml which is quite a lot but I have been pretty liberal with it so it probably won't last me the longest time. Is this something you'd treat yourself or perhaps a loved one to? 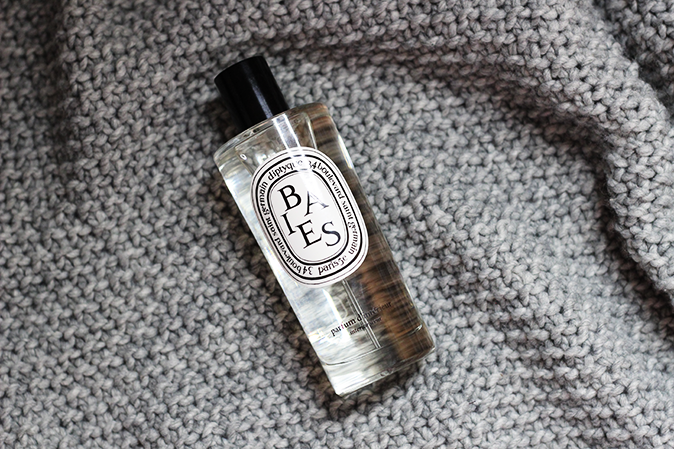 The post Diptyque Baies - More than just a candle appeared first on Lelore.